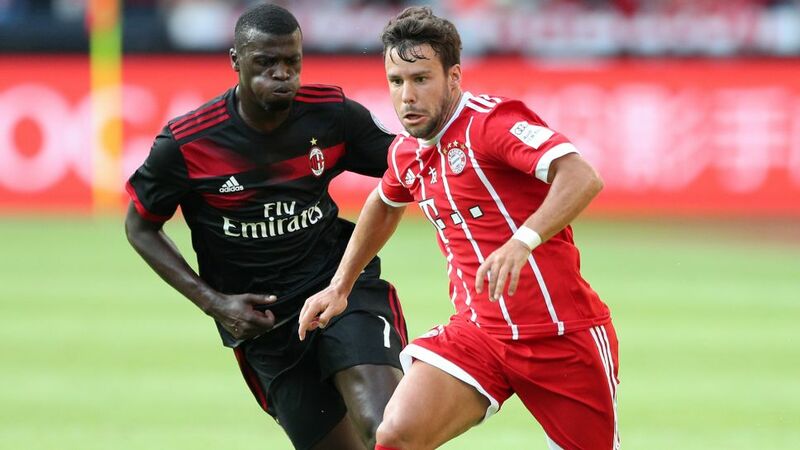 Bayern Munich's Juan Bernat suffered a ligament tear in his left ankle against AC Milan. Bayern Munich left-back Juan Bernat will be out of action for the foreseeable future after undergoing left ankle surgery on Monday. The 24-year-old was injured in a challenge with Franck Kessie during the first-half of Bayern's pre-season defeat to AC Milan on Saturday. Diagnosis on his return to Munich revealed an ankle ligament tear. Bernat joins goalkeeper Manuel Neuer, defender Jerome Boateng and midfielder Thiago on Bayern's current list of absentees. The Spaniard has made over 100 appearances for Bayern since joining the club from Valencia in the summer of 2014.